Waiting for your ticket turnover? Not with us. 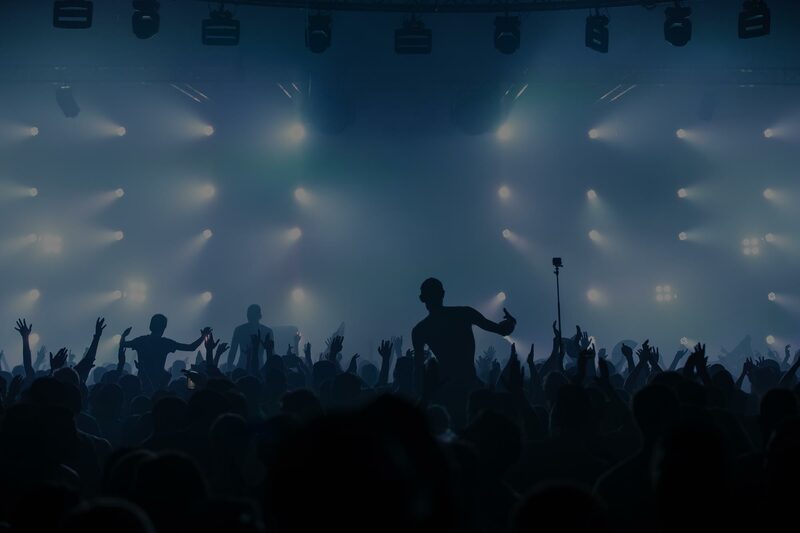 Sell your tickets online and at Facebook using our unique Event Branded Ticketshop. With your logo and backgroundphoto, eventually added with a Youtube or Vimeo video. 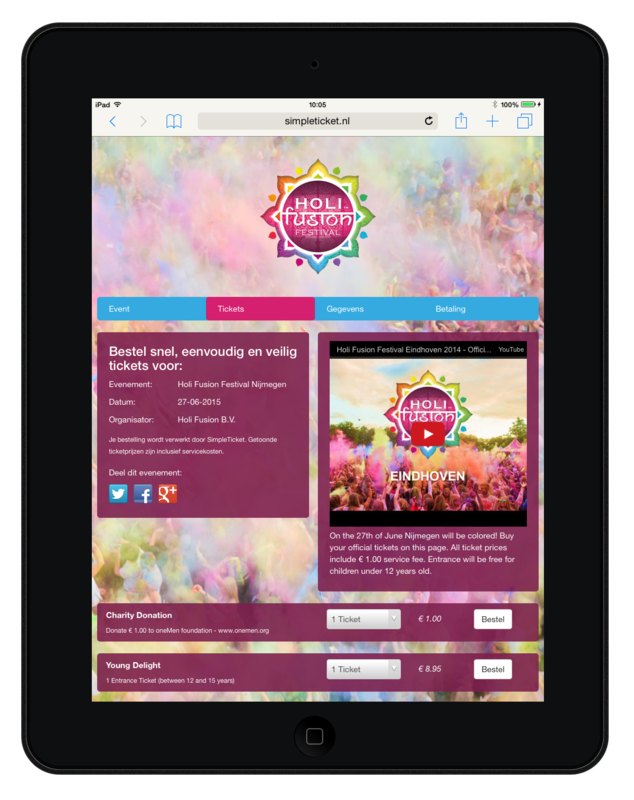 Make the experience complete for your visitor, without the need to wait for ticketsale turnover. Against the best rates. You can setup your event easily and quickly, after which you can sell immediately. A ordering process with the least possible steps guarantees a higher conversion. 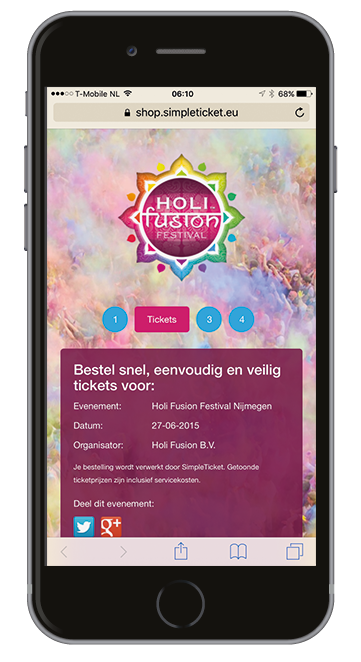 At SimpleTicket you will receive your ticketsales directly in your own bank account, via a Payment Service Provider. Several payment methods are available against sharp rates. We offer several statistics and extended reports. Of course, you can download reports including transaction details. 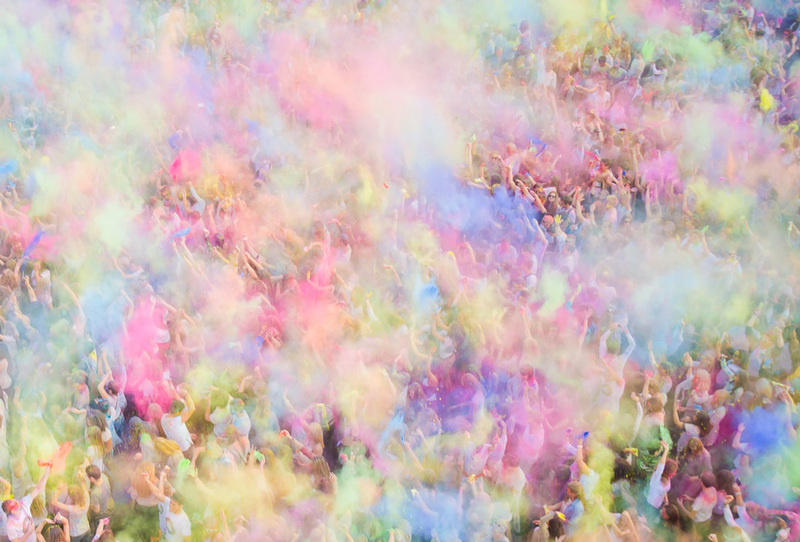 All data concering your events is yours. Our platform runs online completely, no need to download and/or install anything. And because of that, you have access 24x7x365 to all details. On every device. 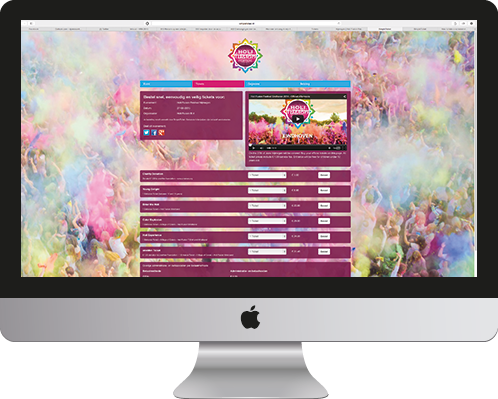 Your details and those of your ticketbuyers are being saved securely on our state of the art platform. We follow the same rules for our platform as the banking industry. Our completely scalable platform is being hosted at Amazon, separated over several datacenters in Europe. Request a personal quote right now. At our blog we share our knowledge and the latest news about SimpleTicket.